Okupe dumps PDP, says party has become menopausal – Royal Times of Nigeria. Okupe said that political parties have lost their importance and identities because of nepotism. Doyin Okupe, a former aide to ex-president Goodluck Jonathan, has announced his decision to quit the Peoples Democratic Party (PDP). 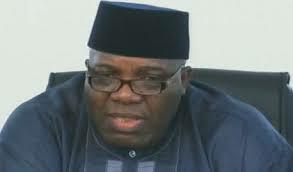 In a statement on Sunday, Okupe cited the leadership crisis in the party as one of the reasons he is leaving the PDP. “It is with deep regret that I publicly announce my resignation from the Peoples Democratic Party,” he said. He said that political parties have lost their importance and identities because of nepotism. “Today, political parties have lost their importance and identities. Once the candidate is Northern, his party is immaterial, all northerners irrespective of their professed party affiliation will vote for him. “This is the major reason why there has been a total absence of opposition in the country in the last two years, and may probably be responsible for the polarisation and sharp ethnic divisions we are currently witnessing in the country. He lamented that the leadership crisis of the PDP was worse in Ogun state as he could not fit into the groups of Ladi Adebutu or Buruji Kashamu. “Therefore, no matter my commitment and passion for this great party, the PDP, it has become menopausal and can no longer bear fruits. I have therefore decided to withdraw a bit and study the political situation more critically and thereafter take a decision soonest on my next political move. He said that if it is God’s will to continue to participate in national politics, he will be back.